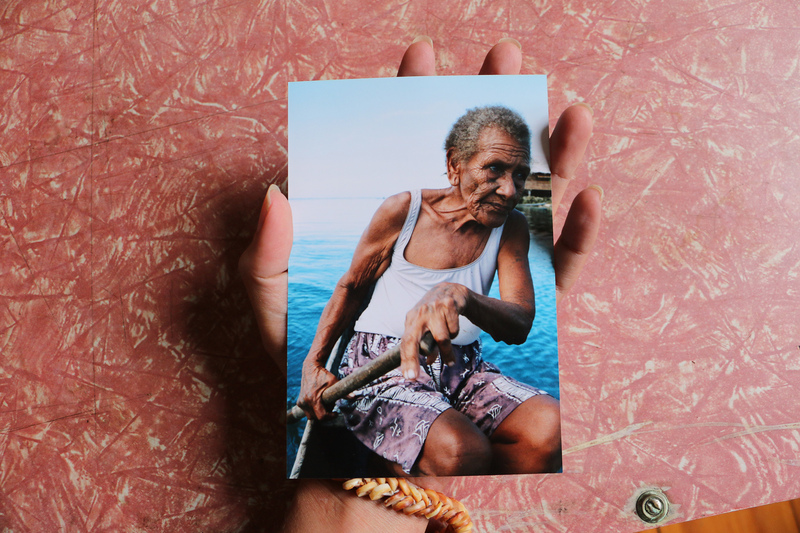 ʻAeasi: as far as the eye can see above the sea’ is a retrospective exhibition of works by Australian Solomon Islander (Feralimae/ Kosi) filmmaker Amie Batalibasi and a glimpse at new works in development. Through photography, video art, documentary and film, as well as 360 virtual reality video, the exhibition exists as an exploration of the artistʼs relationship to the sea and storytelling, how the two are inextricably linked as the basis of an artistic practice. This exhibition is a collection of moments, connections, conversations, stories: images, sights, sounds and immersive experiences from the artistʼs island home in the Solomon Islands; an interpretation of the artists’ journey through researching and developing the feature film BLACKBIRD- a narrative about Australia’s blackbirding history; a look at the past through various video works; and an exploration through the lens of the future – a glimpse beyond the point that is far as the eye can see above the sea. The exhibition is independently produced in collaboration with Colour Box Studio. Amie Batalibasi is an Australian Solomon Islander (Kosi/ Feralimae) writer, director and the 2017 Merata Mita Fellow through the Sundance Institute Native American and Indigenous Film Program. Batalibasiʼs current project in development is a feature adaptation of her award-winning short film, Blackbird. The story explores the little-known history of Australiaʼs Pacific Islander sugar slaves. As mentor and media trainer, Batalibasi has produced dozens of short films by first-time filmmakers through collaborative community projects with Indigenous and culturally diverse communities around Australia and in the Solomon Islands. Her short films have screened at festivals including imagineNATIVE Film Festival, Short Shorts Film Festival & Asia, New Zealand International Film Festival and Flickerfest International Film Festival. In early 2017, Amie participated in Maoriland Film Festivalʼs Native Slam 72-hour filmmaking project with an international team of three indigenous filmmakers, supported by the New Zealand Film Commission. She recently attended the Sundance Instituteʼs Creative Producing Summit in Utah, USA. With a background in photography and documentary filmmaking, Amie completed a Master of Film and Television (Narrative) at the Melbourne University Victorian College of the Arts, graduating with honours in 2015.